In a Nutshell: Despite celebrity and public outcry, wage inequality based on gender remains an issue in the US. Awareness of women’s wage inequality issues have led many nonprofit organizations to try to narrow the gap. One such organization is the Center for Women headquartered in Charleston, South Carolina. The 27-year-old organization, started as a counseling center for women in transition, has been helping underserved women find the tools they need to succeed in the working world since 2000. If you feel like wage inequality issues are being talked about more than ever before, you wouldn’t be wrong. As celebrities bring attention to the core issues behind the inequality problem, many nonprofit organizations are doing their part to help accelerate the narrowing of the gap. One potential solution to wage inequality is women becoming their own bosses. However, many women are unsure how to get started in the business world. Some women, particularly those in underserved areas, may lack confidence or not know where to begin. Others may lack the resources and education to launch successful businesses. 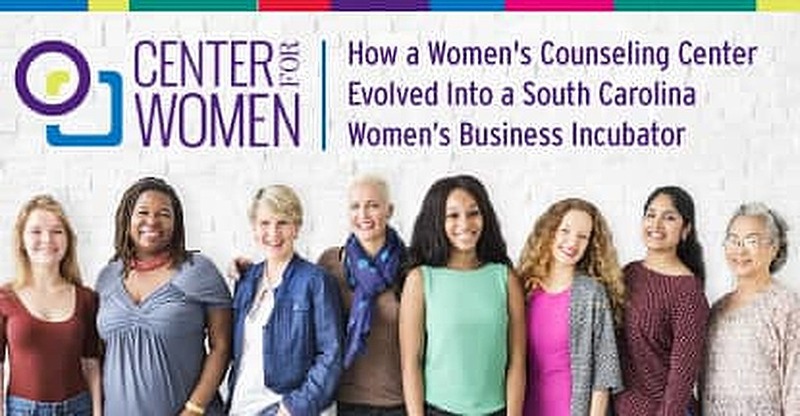 We recently spoke with Lisa Dabney, Executive Director of South Carolina’s Center for Women, who described the 27-year commitment the Center has made to help women learn valuable business skills, which can pay off in both personal and professional development. At the Center, women from all walks of life come in to take classes and receive coaching and follow-up communications whenever they have a question about their businesses. The toughest questions are sent to a panel of expert volunteers who work one-on-one with the women. The Center’s resources run the gamut from taxes, legal inquiries, and resource references. Female entrepreneurs are the fastest-growing sector of business owners in the US, but they also have higher rates of failure, employ fewer people, and generate lower revenues. The reasons are unclear, but the Center for Women aims to figure out what’s behind this trend. A Forbes article suggests one of the primary reasons is a lack of confidence. “Wherever I’ve worked in the world, I’ve consistently seen a fundamental lack of belief in our own value, worth, and ability to achieve consistently tempers female ambition and holds women back,” Margie Warrell writes. The article cites a study by University of California researcher Wiebke Bleidorn, who reported the findings in the Journal of Personality and Social Psychology. Bleidorn said she believes the disparity in these findings is universal. The eight-year study by Bleidorn analyzed data from 985,000 men and women in 48 countries. They were each asked to rate the phrase “I see myself as someone who has high self-esteem.” Regardless of where they were from, men had higher self-esteem than women. Another potential reason for the success gap is the natural interruption in the work cycle due to childbirth. A woman, who naturally wishes to spend time with her newborn, may be subject to misplaced perceptions when she returns to the workforce that she has lost some of her skills, especially with the modern, accelerated rate of technology. The Center hasn’t strayed far from its original mission of empowering women’s growth and success. Its financial literacy program helps economically disadvantaged women get the help they need by promoting soft skills, like personal growth, productivity, and well-being. While these skills are often overlooked, evidence shows they are becoming more crucial to succeeding in today’s workforce. In fact, millennials planning to stay more than five years with their current employer are twice as likely to have a mentor, according to the Deloitte Millennial Survey. The trend is no longer a secret; 85% of executives today have made mentoring an indispensable part of their businesses, according to the survey. The Center wants to further expand its mentoring services and is currently seeking someone to manage its Founder’s Lab program, which offers limited coaching sessions. “Our vision is to grow our ability to offer programming in more detail,” Dabney said. 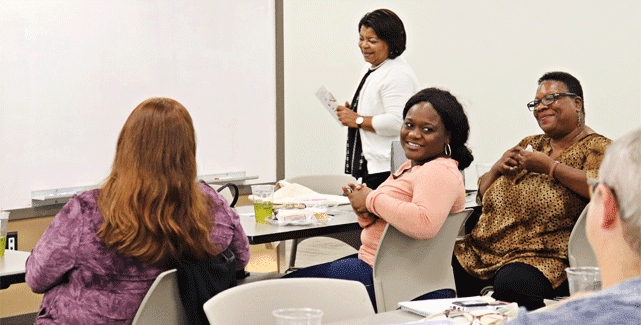 In the future, the Center hopes to offer one- or two-hour programming classes. 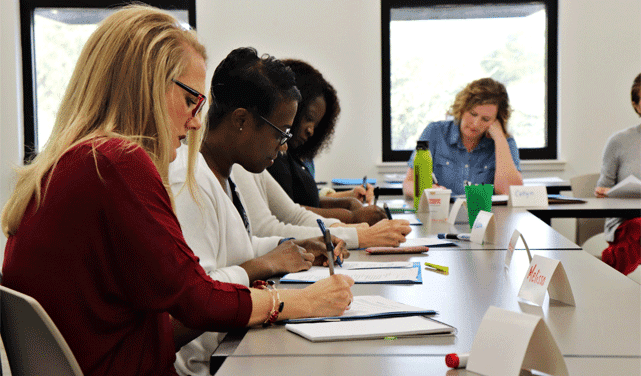 One program called Ready for Work helps improve women’s soft skills, from working through résumés and interviewing strategies to mapping a vision from where they are now to where they want to go. Since it isn’t always clear exactly what influences women’s relative lower success rate in business, Dabney said she is looking to build out a full-fledged curriculum for anything that might impact a woman’s ability to successfully manage her business. Women experience the wage gap in every state, according to the American Association of University Women. In 2016, full-time working women were paid 80 cents for every dollar men earn in a similar job. But some states are worse off than others. In New York, women earn 89.1 cents for every dollar a man earns in a comparable position, while in South Carolina it is only 77.8. Helping close the gap can start with small steps. According to the Center for Women, step one is educating the disadvantaged, one woman at a time. Women make up almost two-thirds of the minimum-wage workforce, meaning that at the federal minimum wage of $7.25 an hour, a woman with two children lives thousands of dollars below the poverty line. For black and Hispanic women, the wage gap is even wider. A black woman working full time typically makes 63 cents for each dollar a white, non-Hispanic male will make. For Latinas, the wage disparity is even greater; a Latina makes only 54 cents for each dollar a white, non-Hispanic male makes. The wage gap varies further and widely by state. The gap has actually narrowed since the 1970s largely because of women’s progress in education and the workforce. “I own my own business, but there are days that I still feel like I’m an employee of someone else’s and not a business owner because I’m still trying to juggle all of these different paths, and so I feel like I’m just kind of managing the process but not managing my business,” one woman who attends the Center recently told Dabney. A 13-year-old girl once approached the Center for Women and relayed a troubling comment on the current social climate. “The young woman came to us a couple of years ago because she had been having a conversation with a male classmate, who said, ‘Well, of course it makes perfect sense that women get paid less than men,” Dabney said. The girl’s parents encouraged her to do something about it, so she reached out to the Center, and the SheStrong program was born. As a result, this young woman and others like her will be better equipped with the resources and tools to deal with inequality and discrimination. Dabney said answering these types of inquiries and others like them will finally move women toward equality.